If you don't know what the Living Below the Line challenge is and want to find out check my earlier post: Living Below the Line (LBL). Now let's get shopping! Here's the over view of the items you will need to purchase to make my 5 day Living Below the Line challenge (LBL) menu for 6 people. I have grouped items by the stores I suggest buying them at. However I realize not every one has these stores available to them so the prices listed will vary. To find gluten free stores near you that meet you sensitivity levels at your prices check out: www.glutenfreefind.com. *Note: if you are allergic to gluten and not merely mildly do not attempt to purchase these items from a bulk food store, unless that bulk food store is completely dedicated to gluten free food. Reason being dust from wheat flour or gluten flour can easily drift into "gluten free" flours or people may use the same scoop they used for wheat flour in a "gluten free" flour. Remember it's $1.75 CAD per day for 5 days for one individual ($1.25 USD, £1, $2 AUD, 11.24 NOK), meaning you have a total of $8.75 CAD with which to buy all ingredients for your meals. For a group of 6 people you then therefore have $8.75 times 6 to spend for the 5 days. So 6 people can spend $52.50. The shopping list above outlines a 5 day menu that will cost just $1.49 short of the limit. Depending on where you live the cost may be relatively the same, cheaper, or more expensive you will have to adjust accordingly. 2) Salt and pepper, they're cheap but they can really spice up a meal. 3) Milk, it adds a little sugar to your diet and is very filling at the same time. This is the last day of the Living Below the Line challenge. However, remember you can always continue with the challenge or keep raising funds for the hungry. Also know as good ol' pancakes! Let pancake mix for 10 minutes to thicken. Meanwhile heat your frying pan (Ps. I'd like to know if you call it a frying pan or a skillet!). Now with your eye divide the batter into quarters. Scoop that first quarter out onto your heated pan (you may use 1 tsp. of shortening to oil pan). Cook 1-2 minutes on each side. Serve warm! That is, unless of course you like cold flapjacks/pancakes then by all means serve them cold! This recipes calls for baked beans which is something that will be used a fair deal of the course for the next 5 days. To make baked beans I until Monday! It takes some time but doesn't require much attention. Ever time I have said "baked beans" is a link to the recipe I suggest using. Bring 3 3/4 cups of water to a boil (using water every of the chicken water you have left). If you want chunky patties, which I suggest, then mash only half of the beans then add the other half and only partly mash them in. If you choose to have smooth patties divide each persons one thick patty into 3 thin pattie (otherwise they will taste like encased re-fried beans). Heat a lightly oiled frying pan (using 1 tsp shortening) over medium high heat. Divide the patties into 6 even balls. Unless you have a very large pan I suggest one cooking one at a time, especially if you choose to make chunky burgers. In order to keep costs down the number of eggs is limited which cause them to break apart if flipped over on an awkward angle or to soon. Cook each patty 5 minutes on the first side and 4 on the second. For robust patties you will want to just slightly burn them on each side. It is preferable to choose longest potatoes in the bunch. Now scrub the potatoes clean. Leave on the skins because this will add extra nutrition. You may cut your fries using either of the methods below. The easiest way to cut it is to first cut the potato in half length wise so you have a long flat surface to work with, then cut it into thin even 1/4 inch slices the long way. Then cut the slices into thin 1/4 inch strips. So you end up with long thin slices of potato. Place flat sides down on your cutting board. Cut again in half, lengthways. This would be for very large wedges. For slightly smaller, cut in thirds, lengthways, on a 60 degree angle, from the outside of the potato to the centre line where it hits the cutting board. For even smaller, slice in half again after the second half cut. Heat oven to 425f. Spread fries on the sheet in a single layer. If Julienned bake for 15-18 minutes. If wedges cook for 22-25 minutes. Divide your French fries into 6 equal portions and serve with one patty per serving. Enjoy! Then in gentle boil chicken until cooked through. Save water and set aside. Cook according to package instructions. I hope you enjoyed this 5 day menu!I've been so busy this week with all this menu planning, shopping, baking/cooking, and posting. I vow to never do 3 recipe posts a day again! So that means it's back to one unique recipe every 2 weeks, with hit and miss posts in between. May God bless you in your fundraising for those in need! How have you been handling the challenge so far? These are links to some of the hunger funds I am planning on donating my money to: ﻿﻿﻿Children's Hunger Fund﻿ ﻿and Gospel for Asia. So I have a really tasty GF biscuit recipe that have been planning to upload in one of my posts. However, this is not that recipe. This is a slightly more cost effective version (that was the nice way of saying: cheap). True though it is, "cheap" it still is plenty satisfying! Note: You will need 6 more biscuits for today's lunch meal so I suggest doubling this biscuit recipe now so you only have to make it once in a day. If you are one of the many people who have never heard of a pastry knife before (ps. let me know in the comments section if you have or haven't), then you most likely don't own one. That being said, you can instead use a potato masher for this method (as shortening will slice very easily). Okay so if your biscuit turned out like pancake batter then let it sit for 10 minutes to thicken. If not then your ready to put the biscuit on the pan. Just divide into 6 even pieces and drop onto and ungreased cookie sheet. Remember you want to use one biscuit to hold a liquid egg, so don't flatten excessively. Place cookie sheet in the center of the oven, and bake for 10 minutes. Let cool 1 minute then remove from the pan. Using a cookie cutter or a knife cut a 7.5 cm (3 in.) circle out of the center of your biscuit. This hole should be big enough to fit your egg comfortably. Set aside biscuit centers. Place each biscuit ring onto to a level cookie sheet or glass pan. Break one egg into each hole. Insert pan into heat oven and cook until egg is done to your liking (AKA over hard or over easy). Let cool 1 minute after remove from the oven. Top off each with the biscuit centers and enjoy! Use fun shapes to make your egg holes! On behalf of my sandwich loving brother, "Cheer's to Earl of Sandwich!" First of all you will again need 6 of my Basic Biscuits. Okay so if your biscuit turned out like pancake batter then let it sit for 10 minutes to thicken. If not then your ready to put the biscuit on the pan. Just divide into 6 even pieces and drop onto and ungreased cookie sheet. Remember you want to use one biscuit as bread for one sandwich, so don't flatten excessively. Place cookie sheet in the center of the oven, and bake for 10 minutes. Let cool 1 minute then remove from the pan. The reason I say to use cooked chicken is, unless you have a very sharp knife it is much easier to cut chicken cooked. However, cooked chicken will have a tendency to tear. Divide your chicken into 6 portions. Cut biscuits in half and pile on the chicken. Use your any of your budgets wiggle room to spice up this mild dish. For my vegetables I used an omelet mix (onions, green peppers, and red peppers) that my mom and I purchased from Almost Perfect frozen food outlet. Add your cooked rice. Serve hot. God bless your whole face! Okay so these "pancakes" are really more like hash-browns as they have nothing but potato. Potatoes often associated with the fat rich "potato chip." 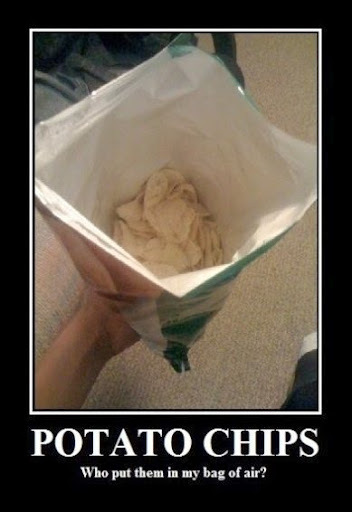 We tend to attribute the unhealthy effects of chips to the potato. However, potatoes are rich in vitamins in minerals. Potatoes are one of the most nutritionally well rounded foods in the world. In fact, Antone-Augustin Parmentier (1737-1813), french chemist and botanist, with his award winning book "Chemical Examination of the Potato" show how potatoes were "capable of reducing the calamities of famine." He was later taken prisoner five times by the Prussians during the Seven Years' War and obliged to survive on a diet of solely potatoes, serving dinners at which all courses were made of potatoes. Parmentier was able to survive on this simple root because of its rich nutritional content, further proving the proof of his research. All that being said let's get you make this potatoy meal! Scrub your potatoes clean. Place in a medium size pot. Fill the pot with water 5 cm (2 in.) above the tops of the potatoes. Don't cut the potatoes! Cubed potatoes will cooked faster but they will also loose a ton of nutrients, so its best to have a little patients. Boil potatoes over medium high heat for 45-60 minutes (or until fork is easily pierces through the center). When the potatoes are done being mashing them! If you don't want the skin put them aside for today's dinner menu as a filler in the meatballs. Heat a frying pan on medium heat. Divide mashed potatoes into 12 equal size balls. Using 1 tsp of shortening oil heated pan. Place potato balls 3 inches apart on your pan and flatten with the bottom of your spatula. Cook 2-3 minutes on each side or until browned. Do not try and flip to soon or they will break apart! However if one does fall apart don't fret just smoosh it back into form and continue cooking. This is a kind of twice baked yam with baked beans and veggies. Remove yams from the pot and let cool for 10 minutes. Cut yams in half (width wise). Now carefully with a small spoon (or ice cream scoop) the inside on the yam. Be careful to leave 1 cm (2/5 in.) of yam clinging to the skin. Mash the yam which you scooped out. Add water water you need. Spoon mashed yam back into yam shells. Place halved yams onto a cookie sheet or cake pan. Leave not space between yams so that they can proper each other up in the oven. Now pop them in the oven and broil for 10 minutes at 450f. Serve hot! A varied meal of meatballs, rice balls, chicken balls, and bean balls all topped off with a touch of sauteed vegetables. Shape chicken into into 1 inch balls. Shape ground meat into 1 inch balls. Etc. Add water if necessary. Now place balls into a deep dish (such as a cake pan or corning ware). Bake at 350f for 20 minutes, stirring occasionally to prevent balls from sticking. Sprinkle the cooked vegetables over each dish of ragtag balls. I hope you enjoyed today's menu! I've been prepping, chopping, cooking, baking, stirring, pouring, and taking pictures of food all morning. Finally I have something to show for it! If you don't know what the LBL challenge is check out my earlier post through this link: Live Below the Line (LBL). I hope you too decide to join in on this creative eye opening challenge. Post. Scriptum. Is anyone besides me getting bored of referring to the LBL challenge as a challenge every sentence? I'd appreciate any suggestions you have as to how I can shake up the reference word I use! Just leave your suggestion in the comment suggestion below. I realize that some people don't like rice pudding but it is very economical. There are no raisins included in this recipe so that should put some peoples taste buds at ease (and other angry). Note: You will also need to cook 1/2 cup of rice for today's lunch dish. I suggest cooking it all at once. Making the 1 cup called for here 1 1/2 cups. Let cook for 45 minutes over medium low heat. Stirring frequently, in order to prevent a film from forming on the surface and also the rice from sticking to the bottom on the pot. You may mash your banana and serve on top of your pudding (as I did), slice it up as a one banana fruit salad, or eating plain on the side. Just serve it the way you prefer! If you can bring down the cost of any of your groceries go for it because this means you can embellish these simple dishes. I suggest use any extra money on potatoes because they are very filling! I realize this is a lot of rice for one day but it is the only way I could work the menu so that each day wouldn't exceed $1.75 CAD ($1.25 USD, £1, $2 AUD, 11.24 NOK). The rice vermicelli will cook very fast so let's start with the chicken. Cut chicken into 1/2 inch thick strips. You may either boil your chicken (use only enough water to cover) or grill it. I suggest you grill it, because presentation goes a long way in the over all feel of a meal. the better it looks the more satisfied you are. The more satisfied you are the more you will leave the table full. The more full you are the easier it will be to complete this challenge. Disclaimer! I'd like to take this paragraph to make clear that the goal of this "challenge" is not to win but to come out of it with a better understanding of how the average person lives day to day. Remember however, the person who earns $1.75 a day doesn't only need that money for food & drink but clothing, rent, etc. Also remember that $1.75 is merely an average which means that there must be a majority of people who live way below in this amount to bring down the America's average of $143.70 per day to $1.75! Please reflect on what these people and people like them must be experiencing day to day. Add rinsed noodles to boiling water. Cook for 2 to 3 minutes or until al dente; do not overcook, or they will become mushy. Drain. Serve hot with chicken on the side and enjoy! Here's to the first day of my Living Below the Line (LBL) menu! Sorry that there's not many pictures; I have to get up early for work on Tuesdays so I didn't have the time to snap photos. Yep good ol' pancakes will start off day one! Now with your eye divide the batter into quarters. Scoop that first quarter out onto your heated pan (you may use 1 tsp. of shortening to oil pan). Cook 1-2 minutes on each side. Serve warm! That is, unless of course you like cold pancakes then by all means serve them cold! A filling meal to give you an energy boost. Before you even touch those burger patties (hands off the patties! ), you'll want to mix the bun. Sifting... not sure why I used this strainer instead of my mom's sifter. Here's a pic of a a pastry knife so that the less fortunate may know what it looks like. Okay so if your biscuit turned out like pancake batter then let it sit for 10 minutes to thicken. If not then your ready to put the biscuit/buns on the pan. Just divide into 6 even pieces and drop onto and ungreased cookie sheet. Remember you want to use these biscuits as burger buns so don't flatten excessively. Place cookie sheet in the center of the oven, and bake for 10 minutes. Let cool 1 minute then remove from the pan. Heat a lightly oiled frying pan (using 1 tsp shortening) over medium high heat. Divide the patties into 6 even balls. Unless you have a very large pan I suggest one cooking one at a time, especially if you choose to make chunky burgers. In order to keep costs down the number of eggs is limited which cause them to break apart if flipped over on an awkward angle or to soon. Cook each pattie 5 minutes on the first side and 4 on the second. For robust patties you will want to just slightly burn them on each side. Now slice your buns/biscuits in half (depth wise) and fill each with a bean burger. Now as you will see in the burger pictured above, I was able to dress it up with onions and peppers. However I've made no mention of any toppings in the recipe. This was not some cheap marketing ploy to get you to think your getting all this and then in the end disappoint. Because the store I went to happened to have sales going on while my mom and I went shopping, I wound up saving $6. Consequently the cost for me to make these recipes actually wound up cheaper then listed so I was able to embellish a little bit. If you live in Canada and are merely gluten sensitive and not intolerant I suggest doing most of your shopping at the Bulk Barn. Until April 30th, 201 they have there spend $10 get $3 off! I will post an article about what stores I recommend shopping at during this challenge. So keeping watching! Please not this will be highly regionally specific. However, I will also give my tips on how to handle your LBL budget (which even apply as far away as Norway﻿!). This ones easy, chances are you already make this often! You can prepare the taters (AKA potatoes) just you like. Okay now put all meat into a lightly greased loaf pan (I suggest 1 tsp shortening, as it is the cheapest fat I could find but prices will vary depending on where you live). Baked meatloaf for 40-60 minutes, or until cooked thoroughly and pulling away from the pan. Choose whatever potatoes are cheapest for you to buy. For my family 1, 5 lb. bag Russet potatoes at Independent grocers was the cheapest option I scouted out. Remember unless you are buying in a bulk food store (such as the Bulk Barn) unit price (e.g. price per 100g) is not necessarily the most economical for the LBL challenge. What do I mean? Let's take a look at the images below. The image to the left depicts (...okay that word sounds a little highfalutin for me) a 2 kg. bag of "Mama's Russet Potatoes" at .20 cents per 100g. The image to the right limns (okay I just looked up a rare word meaning "describes") a 5 kg. bag of "Big Brand's Red Potatoes" at .12 cents per 100g. The latter (not ladder) is .08 cents cheap per 100g (.20 - .12 = .08). However, when shopping on such the tight budget allow for this challenge, unless one (or more persons) wants to be eating potatoes in every meal it is better to buy the cheapest bag that has just the amount of potatoes you will be eating for these 5 days. So that was not late night lecture on budgeting. May God bless you in this endeavor!